Making new stuff , rehearsing & recording the first recording. -"Nuclearmageddon theories" Demo is finished. with 7 tracks arround 25 minutes. 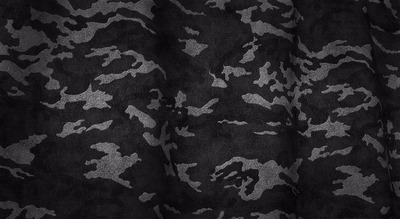 -Working on a new lp "The law of Kalashnikov"
Nuclearmageddon theories is self-released oncCDR format. Nuclearmageddon theoires is released via Wings Ofpestilence recs USA on tape format. -Wargoatcult signed with Terror cult prod (Scotland) & Wings of Pestilence (usa) for release "Nuclearmageddon theories" on tape. -"The law of Kalashnikov is finished with 8 tracks arround 35 minutes. -Starting to rehearsal and recording new tracks for an split. Four new shoots for split Heathen life code/Wargoatcult are finished. -FEBRUARY 2009: "Nuclearmageddon theories" on tape tru Supremacy through intolerance recs (Germania). -FEBRUARY 2009: Making new thermonuclear stuff. -FEBRUARY 2009: WARGOATCULT signed with NUKTEMERON PRODUCTIONS (Bra) for an split with INFERNAL WAR 666 (Bra). -FEBRUARY 2009: A NEW THERMONUCLEAR ALLIANCE WITH BLACK METAL DESTROY PRODUCTIONS FOR RELEASE A RADIOACTIVE SHIRT, SATANICO Y MALDITO PACTO BRUTAL. -FEBRUARY: 2009: Tracks for split with Infernal War 666 finished. -MARCH 09: Wargoatcult confirmed for XTREMME METAL ATTACK Fest (Portugal) & BRUTALMERIA FEST (Spain). -APRIL 2009: Making new material for the next album, now with LORD NECROTOMB at drums too, a new thermonuclear dimension of brutal Black metal. -APRIL 2009: Making a new clip for MADE IN PLUTONIUM HELLFIRE. -MAY 2009: Made in Plutonium Hell fire Clip finished & uploaded. -MAY 2009: Finally 5 tracks for Wargoatcult/Heathen lifecode split. -MAY 2009: Start to rehearshal for live assault with session members. mageddon theories" as bonus, all on cd format. 1 cover (Devil pig of VON) for five way split. -JULY 2009: Wargoatcult enter the studio for record the new album. -SEPTEMBER 2009: NEXUS INNSPILLINGER COMPILATION.(Tape). Including Wargoatcult shoot "Thermonuclear ascension". -SEPTEMBER 09: Wargoatcult starts to work in a new split with Extirpation (Basque country), 4 shoots each band. -October 09: Wargoatcult/Infernal war 666 split released tru Nuktemeron Productions (Bra)/Impaled records (Bra). -OCTOBER 09: Wargoatcult shirt released under license of BLACK METAL DESTROY PRODS (USA). -OCTOBER 09: Second official shirt released by BLACK METAL DESTROY PRODS. on cd format, 500 copies exclusively for south & north America. -NOVEMBER 09: The law of nuclearmageddon released tru Mutilationary recs(Thailand) on tape, containing Nuclearmagedon theories & Tthe law of Kalashnikov. -DECEMBER 09: New shirt at Diabolos prods (Spain). -DECEMBER 09: Recording a new clip for OCENAOS DE FUEGO. -JANUARY 2010: Oceanos de fuego clip finished & Uploaded. -MARCH 2010: Wargoatcult signed with Black filth prods (usa) for release a patche. -APRIL 2010: Wargoatcult finished the new promo including three tracks. A la guerra con Satan/Verga de chivo en culo de Monja/Nuevos Dioses. -APRIL 2010: WARGOATCULT finished the new album, EN PIE DE GUERRA. for the split with Brazilian band Ravendark..s Monarchal Canticle. -MAY 2010:Wargoatcult starts to record another album. wargoatcult/Ravens dark Monarchal canticle split in tape. -AUGUST 2010: Wargoatcult signed with INFERNAL KAOS PRODS (Korea) for a split cd with the usa band Chainsaw Carnage. AUGUST 2010: Wargoatcult finished the recording of wgc/Chainsaw Carnage split & WGC/Ravens Dark M C Split. OCTOBER 2010: Wargoatcult/Ravendark's Monarchal Canticle split is out on tape format tru Nexus Inspillinger (Spain). 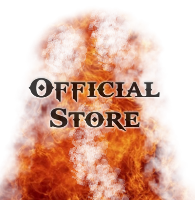 NOVEMBER 2010:Wargoatcult launch the first official patch tru Talheim recs. 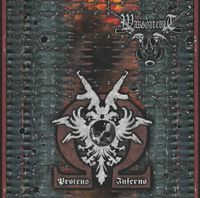 JANUARY 2011: Wargoatcult includes a unreleased track called NUEVOS DIOSES in a three-way split on tape format with Ocultus Sathanas and Blackdolmen, released in Brazil. MARCH 2011: Wargoatcult/Chainsaw Carnage split released in cd Format tru Infernal Kaos Productions. for a new album & split. APRIL 2011: Wargoatcult/Hetahen Lifecode split cd released tru Butchered recs,usa. 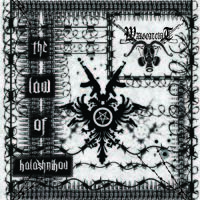 MAY 2011:Wargoatcult signed with Storm of Bullets Productions (Mex) for release "The law of Kalashnikov" Cd. MAY 2011:Wargoatcult release a new promo called "Biomegatherion" including two tracks-Decrepitome & Fungivorous nematode population. JUNE 2011:Wargoatcult signed with Butchered recs/Old Cemetery recs for release Pentaprotokhaos on Cd format. Recs (Bra).for wargoatcult/xerion split tape. JUNE: Wargoatcult signed with BLACK METAL DESTROY PRODS from USA for an ep. 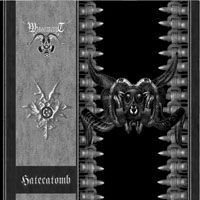 SEPTEMBER 2011: Wargoatcult/Xerion split tape out tru Black Imperium Recs (Bra). SEPTEMBER 2011:Wargoatcult sings with BLACK GOAT TERRORIST records for wargoatcult/Extirpatio split tape called AT WAR. OCTOBER 2011: The new album entitled "La Horda del Chivo" is on factory and will be released tru Nigra Mors Records (Spain) on cd format, including 8 tracks in 37 minutes. 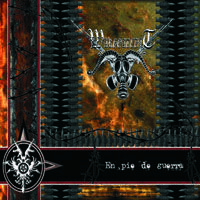 OCTOBER 2011;Wargoatcult signed with BESTIAL DESECRATION RECS (El salvador) for release EN PIE DE GUERRA tape. NOVEMBER 2011; LA HORDA DEL CHIVO CD is out to Nigra Mors recs. DECEMBER 2011: PENTAPROTOKHAOS CD is out tru BUTCHERED RECS/OLD CEMETERY RECS. JANUARY 2012; Wargoatcult/Die Human Race split tape is out! February 2011: Wargoatcult signed with Death Camp Recs for release wargoatcult/Purifikation Kommando split cd. Recs for release wargoatcult/Purifikation Kommando split tape. November 2012, Davallon (live guitarrist) was Kicked out of Wargoatcult , new guitarist will be announced Soon! January 2013;Wargoatcult seelf release a new Promo-The Opponent, including two songs from the upcoming album Hatecatomb. January 2013;wargoatcult signed with Diabolos prods again for release a new Hoodie. February 2013; Wargoatcult signed with Pentagram Recs from Perú for release the upcoming album. Pentagram recs (Perú) exclusive worldwide distribution. July 2013; 5th Aniversary album is out via Talheim recs-Austria, was delayed 1year before release. April 2014; Wargoatcult sings with Nigra mors recs and release Wargoatcult/Hereticum/Xerion/Terrorsaw split on tape, Legatvm Damnatorvm. April 2014; Wargoatcult signs with Panzer Assault records from Mex for release Hordas do Inferno, including two unreleased albums; En Pie de guerra & The law of Kalashnikov on Digipack format+Sticker,patche and shirt. Split Cd, including all demos from each Band. April 2014: Official Rotting Christ tribute with 19 Bands was released. Wargoatcult performing-Restoration of the Infernal Kingdom. CD Compilation of unreleased songs from 2009 to 20013. Anthems of war, The shining-the Omega. September 2014:Wargoactult signs with Brutal Panzer Assault recs-Mex for 2015 album. November 2014: Wargoatcult sings with............ for wargoatcult/Beasthrone split 7" including two songs each Band. December 2014; Wargoatcult included on Frenopatiko 10 years aniversary Compilation. January 2015-11:Wargoatcult release War Bringer-War Cult tru Nigra Mors Recs (Spain). Including 17 unreleased songs from 08 to 2013. February 2015: Wargoatcult be part of Hammerstorm IV Compilation-Russia. Juny 2015:Wargoatcult release a new videoclip from Vaalbara implosion ep, Anthems of war. July 2015; Wargoatcult release a new videoclip performing "Pangea deflagration" from Hatecatom album 2013. 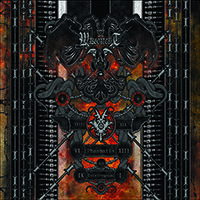 September 2015; Wargoatcult signs with Brutal Panzer Assault recs (Mex) for release the first Wgc Album in Digipack entitled; The Law of Kalashnikov, recorded in 2008 and never published until 2015. September 2015; Wargoatcult signs with Brutal Panzer Assault recs (Mex) for release the new Album; Proteus Inferno. November 2015; January 2016; Wargoatcult signs with Merch of the Dead Prods (Spain) releasing two new shirts and Big Embroidered Patche Logo. 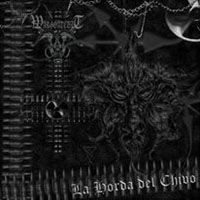 January 2016; Wargoatcult signs with Merch of the Dead Prods (Spain) to participate in the Compilation "El matadero de Cristo" with the song "Verga de Chivo en Culo de Monja"
May 2016; Wargoatcult broke with Brutal Panzer Assault recs (Mex) and signs with Pentagram Recs (Peru) for Proteus Inferno Album Release. September 2016-Wargoatcult signs with the Legendary Label Elegy records-Usa for release The law of Kalashnikov. First Album recorded in 2008 and never released yet. December 2016-Wargoatcult release with Elegy records-Usa The law of Kalashnikov. Day 1. 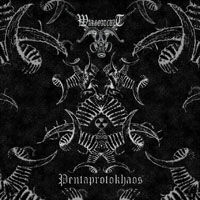 December 2016-Wargoatcult release Proteus Inferno, the 7th Album, via Magistellvs Infernal Prdos/Pentagram Recs-Peru. Day 31. July 2017-Wargoatcult release a new Ep entitled Warbrakadabrah including two tracks; 1-Warbrakadabrah & 2; March of the Iberians, both from upcoming Album Phasmatis Interregnum. Hoy habia 2 visitantes (106 clics a subpáginas) ¡Aqui en esta página!